Do you really know how to use email effectively? Unless you do, your valuable minutes turn into hours as you wade through them, trying to decide what to do with each one. The temptation with many, of course, is to do nothing. So they sit there in your inbox. Which means they're also in the back of your mind. Take control of you inbox. 1. Turn email notification off. This is the first and easiest step to take if you want to know how to use email well -- if you ignore everything else and only do one thing, make it this one. 2. Only check at set times. Sure, email is time ordered and all in one place, but it comes in randomly. It's best dealt with when you use a system. 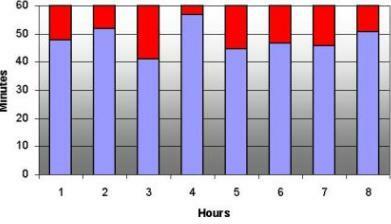 Allocate just two or three batches of time during the day. You may need a degree of flexibility with this, depending on the structure of your day. If you can’t check emails at, say 8.30, 12.30 and 4.30, check them between tasks instead. The principle is the same though: only check periodically. 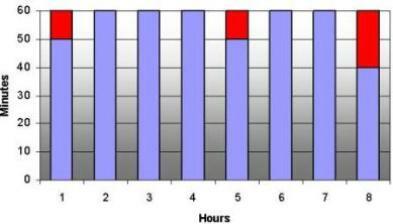 Do you currently check throughout the day? Don’t try to go straight down to 2 or 3 daily checks. Start with 6 to 8 designated checks and gradually reduce it. The figures are arbitrary, but they make the point. Don't let email control you, make sure you control it. 3. When you check delete, defer or do. This goes for every email that lands in your inbox. To handle all incoming mail, and to deal with backlogs, use this empty inbox system. 4. Manage one day’s worth in one day. Do you know what a day’s worth of email is? That’s all you should process. The empty inbox system works because you place a daily limit on messages you process. If you're consistently getting more than you can manage, step back and look at the bigger picture. Have you go too many commitments? You may need to cut one or two. Your inbox is not your to do list. Instead, sort deferred messages into folders. Start off with two folders: ‘Backlog’ and ‘Action’, then add more as you get used to these. Folders are useful for current projects, but you do need to check them regularly. Okay, that'll save you time each day. Have you noticed who sends long messages and who sends short? If you want it short, send it short. Also, learn a few email etiquette tips to make sure your recipient appreciates your emails (or at least isn't offended by them). 2. Use the subject line effectively. The more active you make it, the easier it is for people to respond to. For example, ‘staff meeting’ could mean anything. ‘Can you make the staff meeting on the 23rd?’ invites a response. People scan their inbox messages and respond to the ones that appeal most. Don’t abuse the priority system -- just make your subject line one that recipients notice and understand. 3. Send less, get less. The more emails you send, the more you’ll receive. If you want to know how to use email less, then send less. Ask yourself if it’s really worth starting another digital chat line. This works well if you have started to check at designated times. Whether you manage multiple email accounts or just the one, try out these ideas and you'll free up more time for yourself. There are hundred of specific tips and tricks about how to use email. Unless that’s your thing, leave those to the technology experts. Instead, concentrate on applying simple, effective principles that help you use it as the great communication tool it was designed to be.